BOSTON — The Kyrie Irving experience in Boston has been bumpy. Last October, Irving pledged allegiance to the Celtics, publicly declaring an intention to re-sign this offseason. Since then Irving has backtracked (sort of), called out his younger teammates and seemed frustrated in his leadership role, all while outside forces seemed to be conspiring to poison Irving’s relationship with the team. Or did you forget about the sudden concern Anthony Davis’s father had with the way the Celtics treated Isaiah Thomas? It makes you wonder—was this pairing meant to be? Might the Celtics see letting Irving walk and handing the keys to Terry Rozier and the collection of young stars as the smarter long-term play? “Yes,” team president Danny Ainge told The Crossover. Here’s the thing about Ainge—it’s tough to move him off something he believes in. A little locker room drama isn’t going to do it. Remember, Ainge played with Larry Bird, whose leadership once included blasting his teammates for playing like “a bunch of women.” Irving spinning the wheel of leadership all season to try to find something that worked isn’t going to influence him. Ainge believes in Irving. They don’t text daily, but Ainge says they do talk regularly. Ainge knows this, too: You need stars to win championships. Irving is one, which is why it’s unlikely Ainge will do anything short of offering Irving a full five-year, max-level contract on July 1st. Davis is another, which is why if Irving stays, Ainge will do whatever it takes to get Davis in a Celtics uniform. Figuring out what Irving wants is more complicated. Irving’s inner circle is a tight one. There’s his father, Drederick, who once starred at Boston University. There’s his longtime agent, Jeff Wechsler. There’s his personal trainer, Robin Pound. Figuring out what Irving is thinking can be difficult because he doesn’t share it with many people. Which is why his public comments—that he doesn’t “owe anyone s---,” for example—can be so enlightening. Has free agency been wearing on him? For his part, Ainge doesn’t think much of Irving’s mid-season waffling, but the reality is this has been a difficult year. 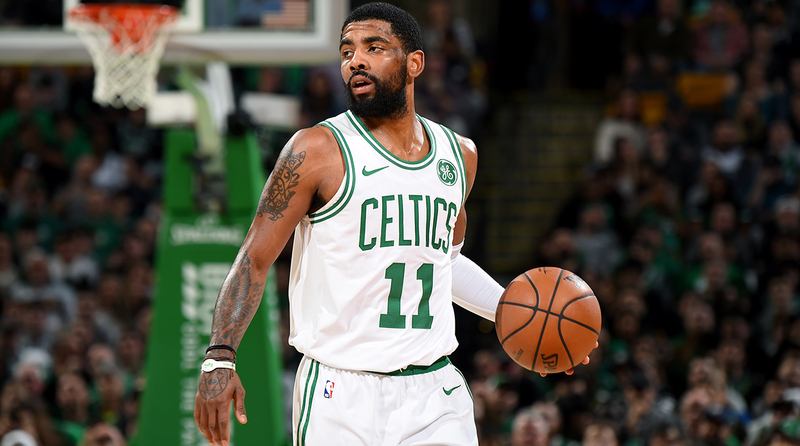 The team has struggled to live up to lofty expectations, and Irving has admitted he has not handled his role as team leader as well as he could. “A lot of bulls---,” Irving said this week. “A lot of the up-and-downs that just could have been handled better from a professional standpoint. I'm talking about me personally, I'm not talking about our team. I had a lot of questions, a lot of things that weren't being answered straight up about what it takes to be a great professional in this league and I think that the frame of that is just outdated, in terms of what you have to be every single day and it's not that hard. It doesn’t help, says Al Horford, when everything Irving says and does is put under a microscope. Ah, yes—the playoffs. Irving has been desperately trying to get to this point, with the Celtics opening up a first -ound series against Indiana on Sunday. Irving has a brilliant postseason resume (23.9 points, 4.7 assists, 3.1 rebounds in 52 games, including the three Finals appearances) and believes, like many in the Celtics organization do, that the playoffs are going to bring this team together. If they do, all the drama from the regular season will be quickly forgotten. For Irving, perhaps, a new beginning.